Lakewood, NJ – January 2, 2019 – UNEX Manufacturing, Inc., the trusted industry leader in providing innovative order picking solutions, announces that Brian C. Neuwirth will be promoted to President of the company starting January 1, 2019. After 42 years as President, Brian Neuwirth will become the Chairman of the Board, allowing Brian C. Neuwirth to handle the day-to-day management of the business. Brian is a third-generation owner of UNEX, following in the footsteps of his father, Mark, uncle, Brian, and grandfather, Frank. 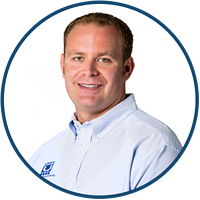 Brian C. Neuwirth has been in the material handling industry for over 15 years and is involved in or holds leadership positions in numerous industry associations. He was chosen as the 2018 Outstanding Young Professional from the Material Handling Institute (MHI) at MODEX 2018. Brian has made significant contributions to the material handling industry, has a passion for improvement within his customers and partners, and enjoys giving back to the material handling community by sharing his knowledge and expertise. Previously Brian C. Neuwirth was Vice-President, Sales and Marketing at UNEX Manufacturing. He was responsible for building and maintaining the UNEX brand and leading a team of sales and marketing professionals focused on supplying superb, highly valued products and excellent customer service. He has also held sales and sales management positions at the company. He graduated from Susquehanna University with a BA in Corporate Communications and received a Mini-MBA in Digital Marketing from Rutgers University.